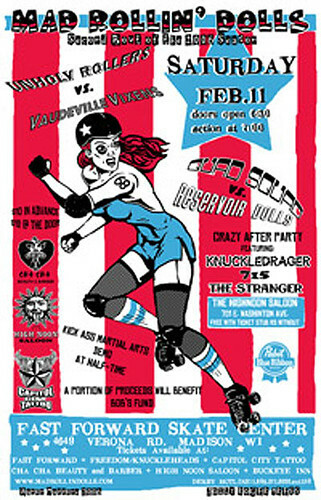 The flat track Mad Rollin' Dolls skate on Saturday, February 11th. The flat track Arizona Roller Derby will skate on Saturday, February 11th. 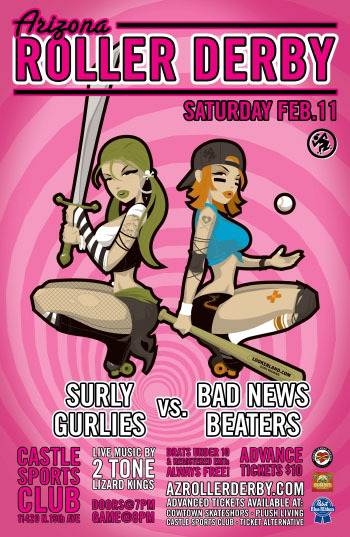 The Bad News Beaters will take on the Surly Gurlies. UPDATE:Due to circumstances beyond our control, Saturday's bout will be held at Casy At The Bat (3947 E. Union Hills Dr., Phoenix, AZ 85050). Casey's is an outdoor venue with plenty of space, including 300 bleacher seats overlooking the rink. Unfortunately, AZRD is not licensed to sell beer at Casey's so there will be no beer garden. However, we will be issuing vouchers good for drinks at Happy Hour prices and $4 Cherry/Jägermeister Bombers at our traditional after party location, Big Daddy's Sports Lounge (2401 W. Union Hills Dr., Phoenix, AZ 85027). Arizona Roller Derby apologizes profusely fo the inconvenience, and we hope to see you at Casy At The Bat for one of this seasons fiercest match-ups! Minnesota RollerGirls represent. A member in good standing of skater-owned and operated Women’s Flat Track Derby Association (WFTDA, with 30 leagues across the country), Minnesota RollerGirls return an old-time institution to area working-class folk. Accordingly, dyed-in-the-wool blue-collar entertainment is alive and well in the Twin Cities. With a vengeance. Minnesota’s league introduced itself only about two years ago and already shows signs of serious staying power. 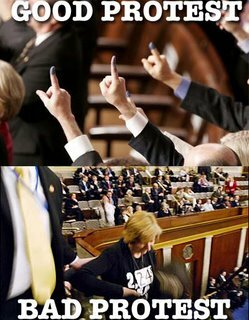 In his State of the Union address to the nation last night, President Bush announced a new cabinet-level position to coordinate all current and future scandals facing his party. Misty Meaner, Sparkle Plenty, Melicious and Dirty Deeds for the shout out yesterday on ESPN Radio. Pinko Feminist Hellcat -Sam Alito: Brought to you by the folks who defended torture and domestic spying. More than a dozen states are considering new laws to protect health workers who do not want to provide care that conflicts with their personal beliefs, a surge of legislation that reflects the intensifying tension between asserting individual religious values and defending patients' rights. "It's already a very hot issue," said Edward R. Martin Jr. of the Americans United for Life, who is advising legislators around the country pushing such bills. "I think it's going to get even hotter, for lots of reasons and in lots of places." The flurry of political activity is being welcomed by conservative groups that consider it crucial to prevent health workers from being coerced into participating in care they find morally repugnant -- protecting their "right of conscience" or "right of refusal." "This is a very significant threat to patients' rights in the United States," said Lois Uttley of the MergerWatch project, who is helping organize a conference in New York to plot a counterstrategy. "We need to protect the patient's right to use their own religious or ethical values to make medical decisions." The flat track Minnesota RollerGirls will skate a bout this Saturday, February 4th. The Garda Belts will take on the Atomic Bombshells in the first match. Next up will be the Dagger Dolls skating against the Rockits. Tickets: Trackside seating: $12 advance / $14 game day, General admission: $10 advance / $12 game day, Ages 9 and under are always FREE with an adult! Doors opena te 6:30pm, bout at 7:30pm. The flat track Rose City Rollers kick off their season with a bout on Saturday, February 4th. Please visit the Rose City Rollers website for more info.